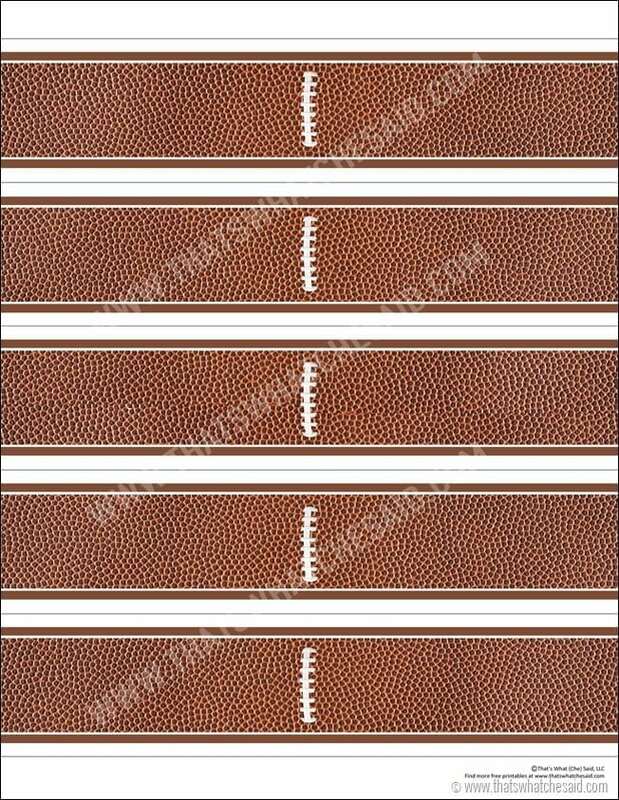 With the big games coming up I wanted to share my Football Water Bottle Labels! 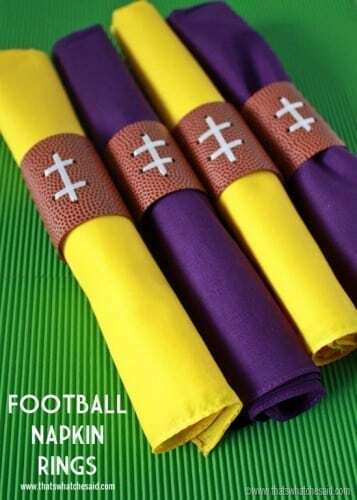 These are great for water bottles, wrap around mason jars, use as napkin rings or as gift bag wrappers! The uses are endless and they are super cute! Cut them out and link them together for some darling paper garland! 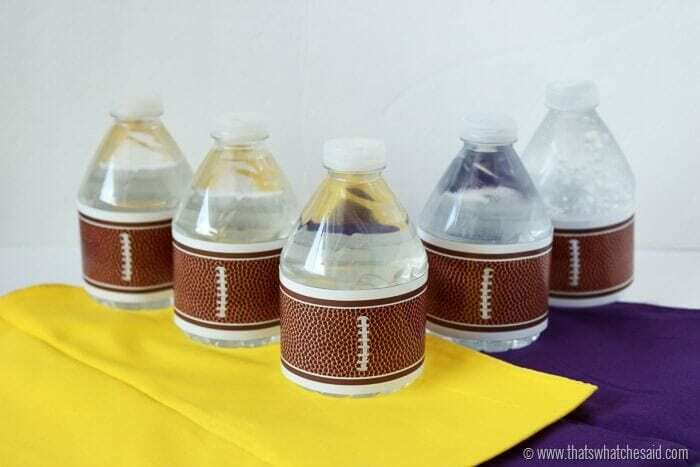 I love these football water bottle labels because it is such a simple way to jazz up your party. 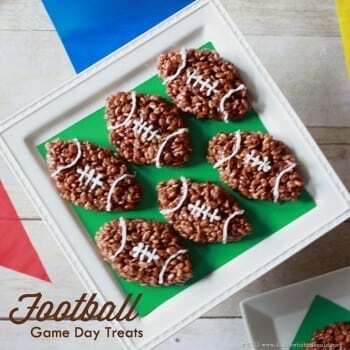 Perfect for your child’s team games, whether you are having friends over to watch a game or just for the football loving family! 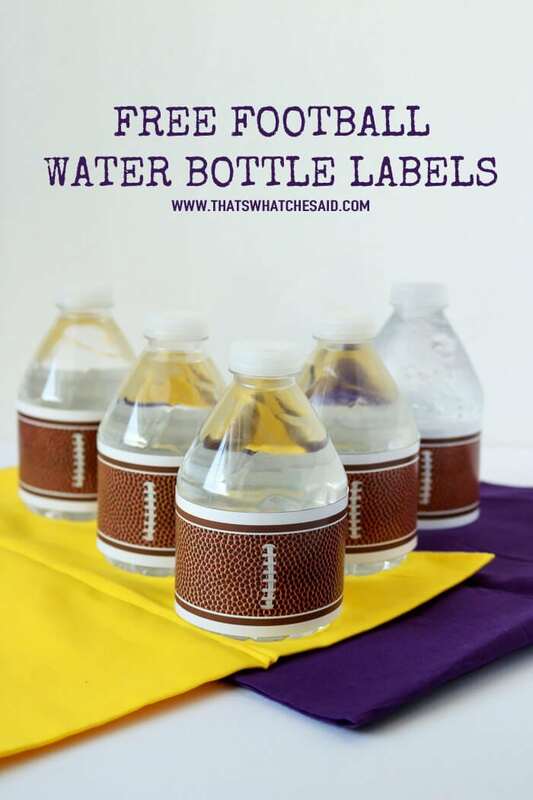 Print off your free copy of these cute football water bottle labels. 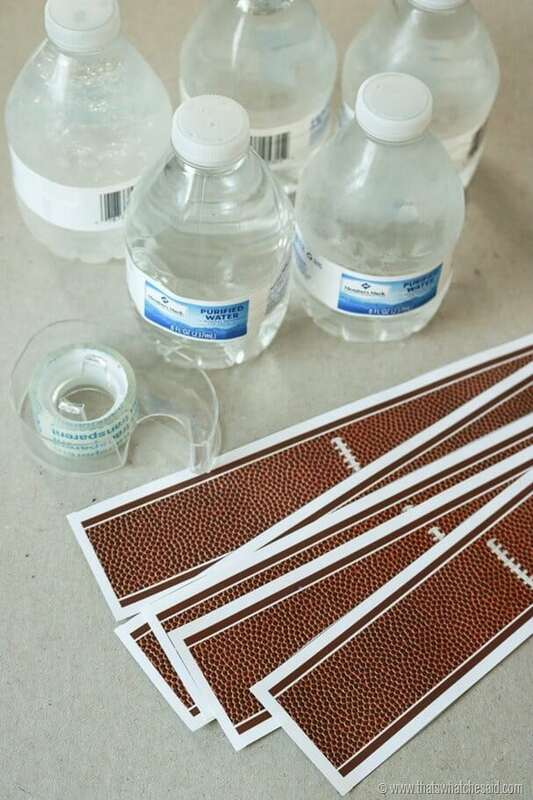 Cut the labels along the lines using scissors or a rotatory paper cutter. Grab some water bottles and some clear tape. You don’t even need to remove the original labels. 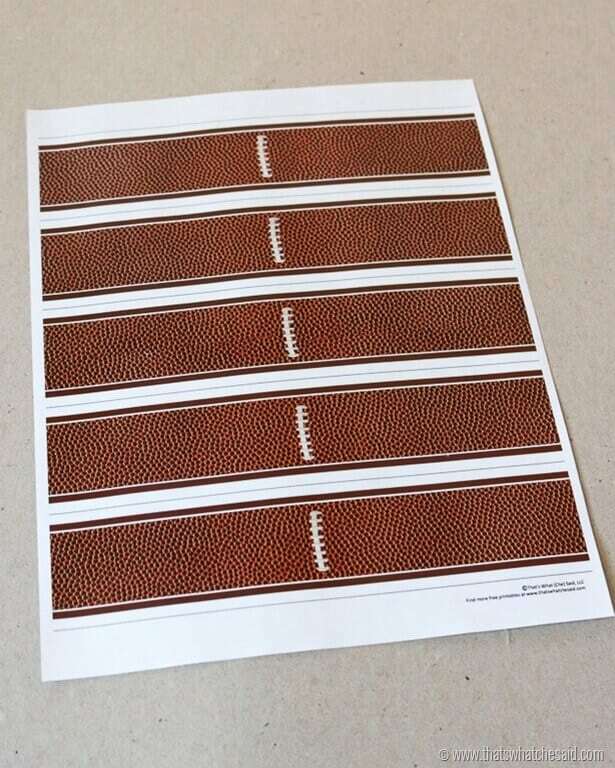 I just wrap the football ones right over the existing ones and them tape in place. To download simply enter your first name and email address. The download will start automatically. You will then be sent a password for future use or to access my entire freebie library. Lots more Football Fun as well! 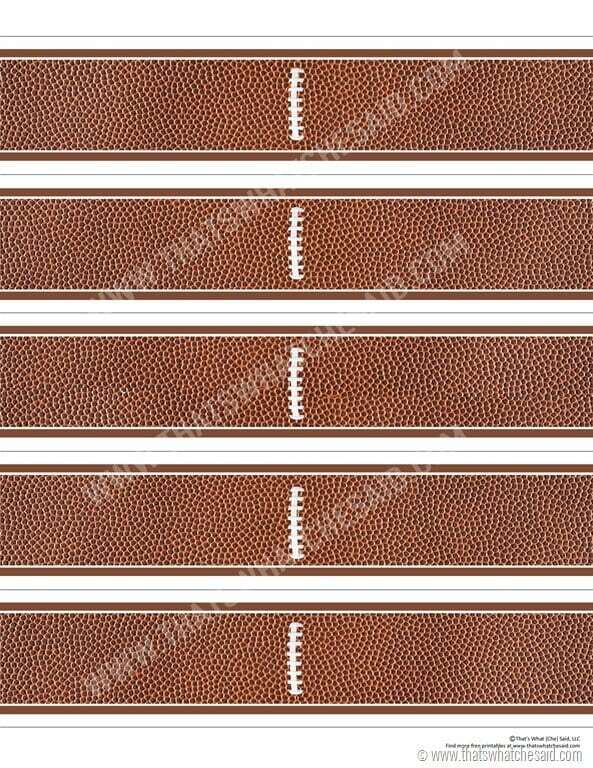 Like I mentioned above you can use these for more than just water bottles! Here’s a look at the different ways I used my Halloween water bottle labels. You didn’t think I just made one kind of label did you? 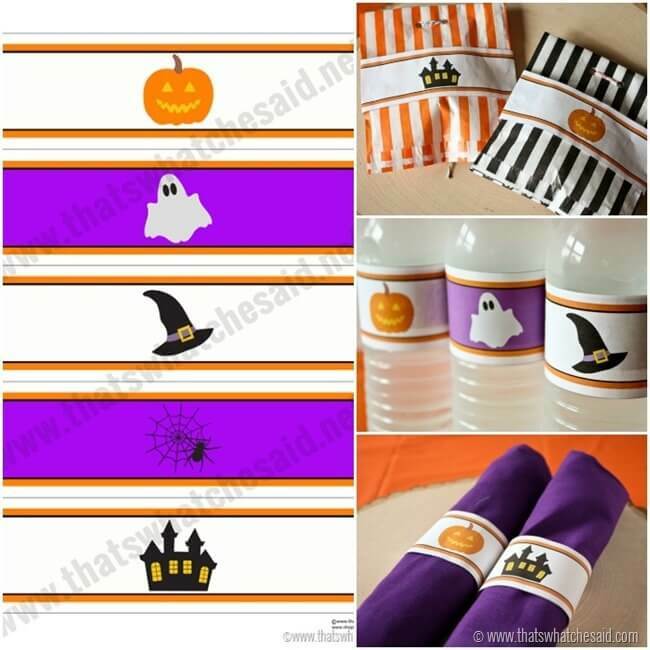 You can check out all my freebies, printables, water bottle labels and free fonts too! Great Joan! Glad to hear it!